Most of our hunting is done in the Eastern Cape Province of South Africa. We offer over 30 hunting species here. The landscapes here vary from steep valleys and large mountains to open plains with an abundance of animals. 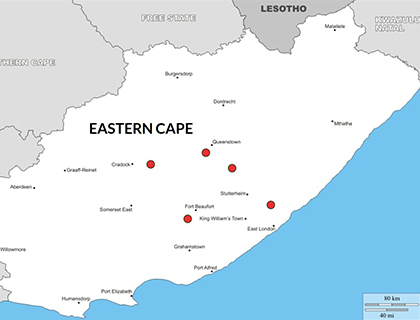 We operate from a few different areas in the Eastern Cape depending which species we are hunting. We use the East London airport and all lodges are within 2 hours drive.